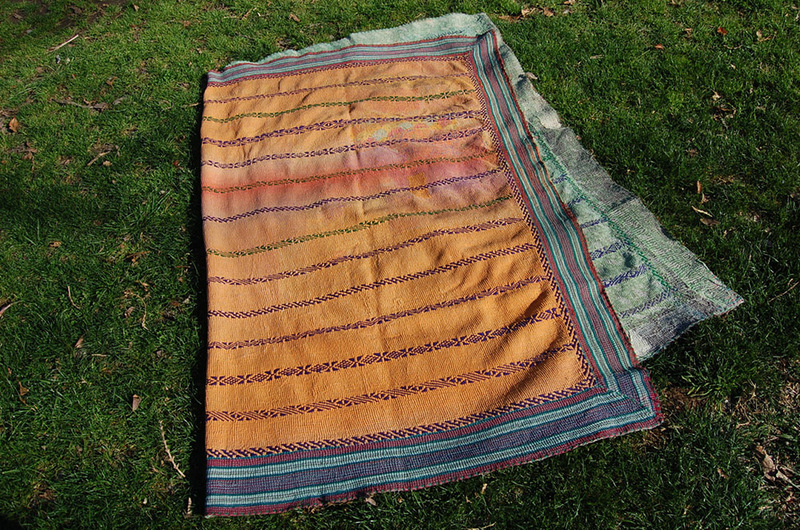 MAGIK is like a painting. 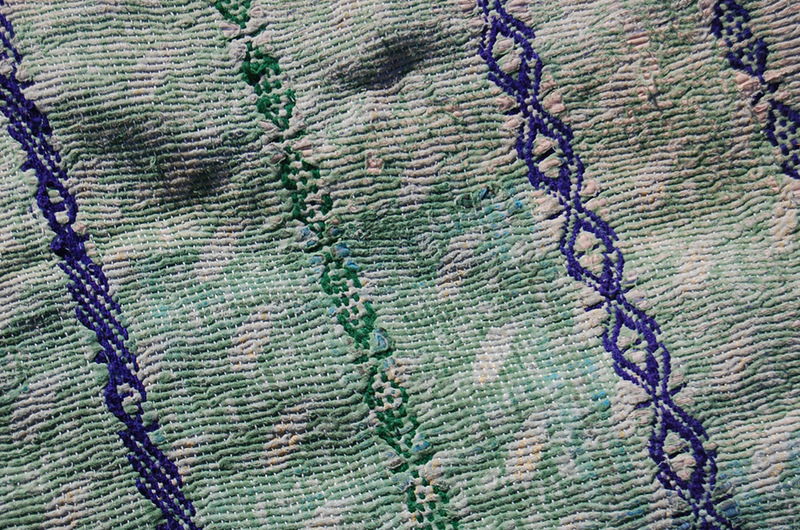 The disintegration throughout is so harmoniously formed, as if composed. 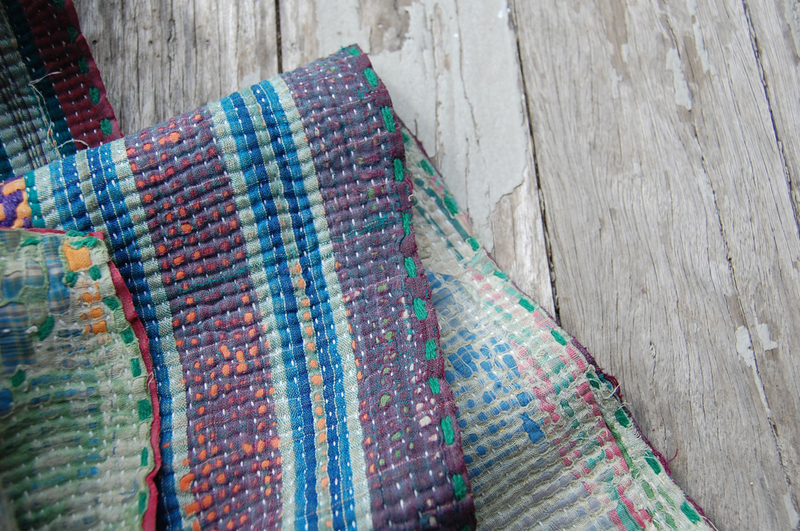 The multitude of colours – a very sophisticated colour palette – of sub-dued, combined with unexpected bright, almost fluorescent shades, is candy to the eye. 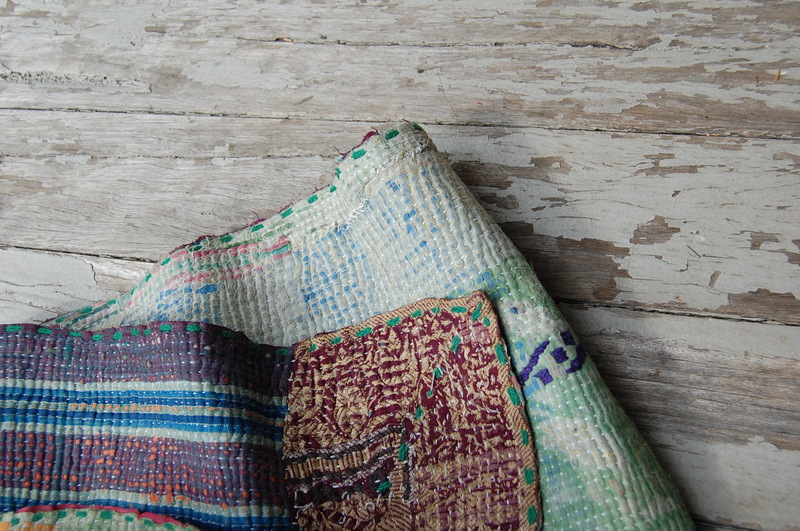 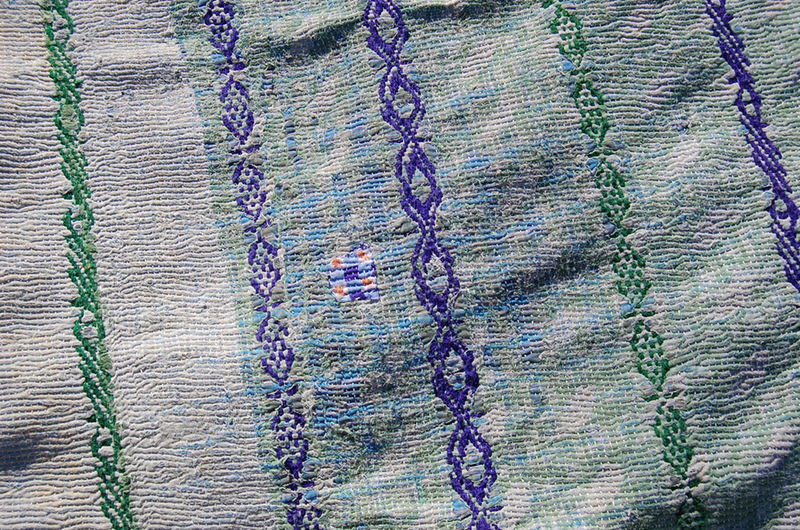 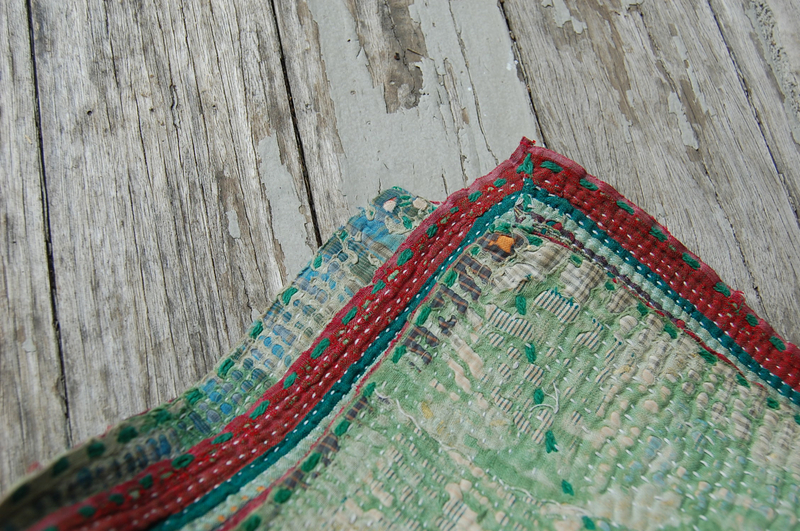 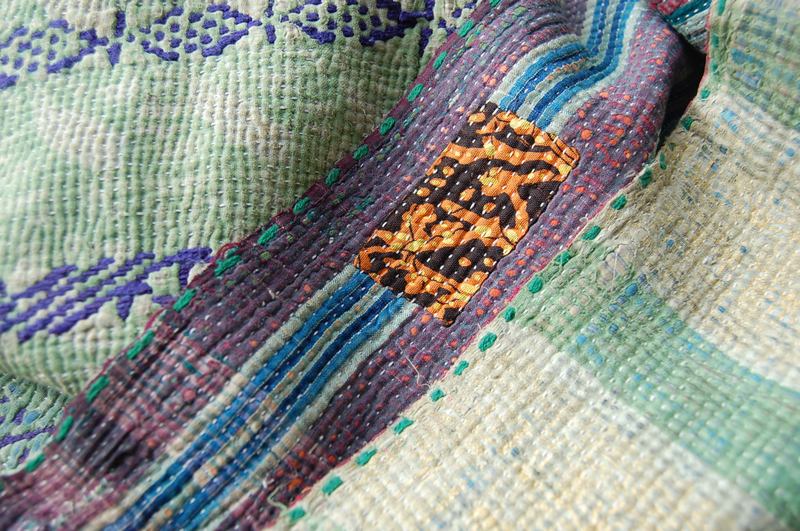 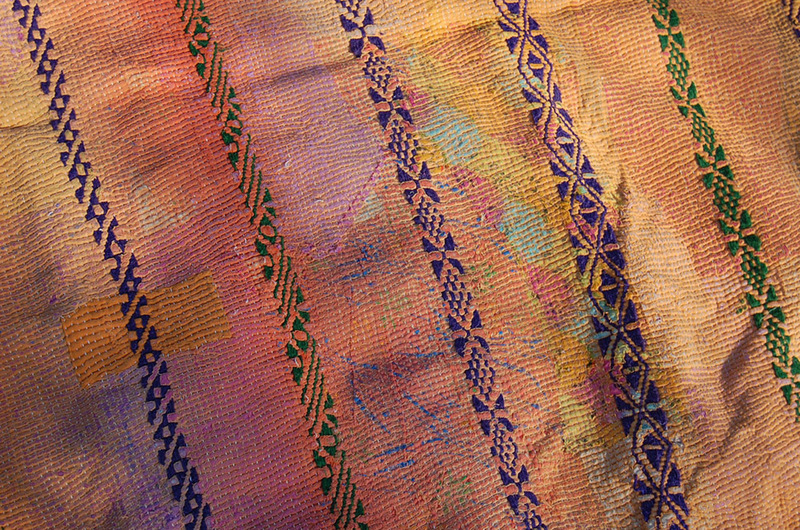 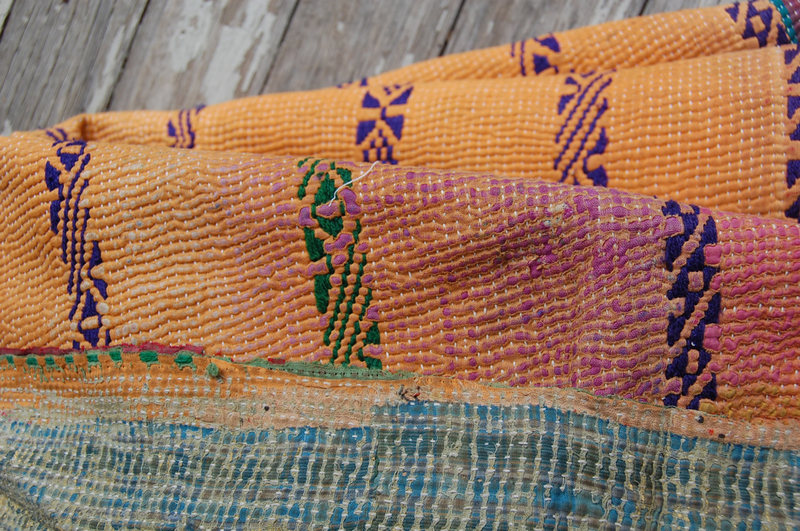 The textural wonderland here is another part of this kantha quilt’s beauty and charm. 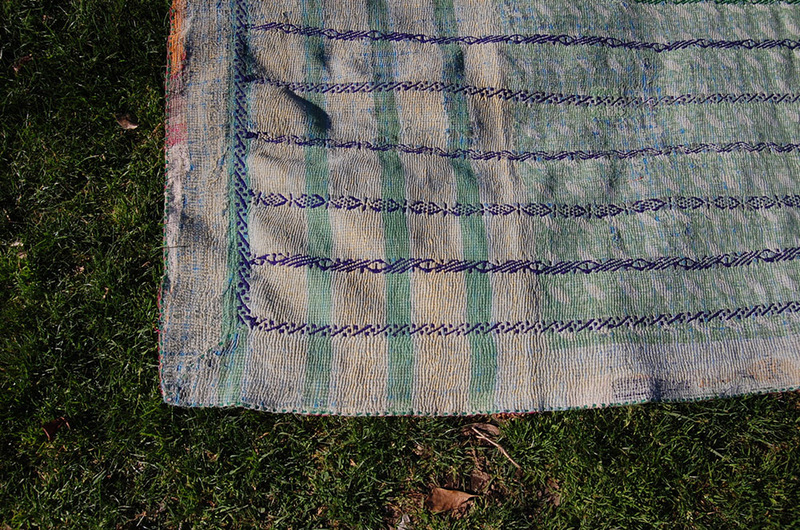 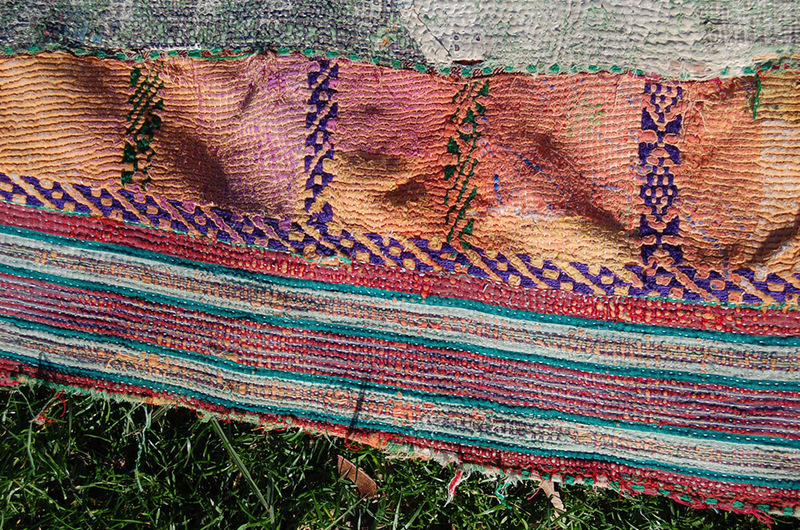 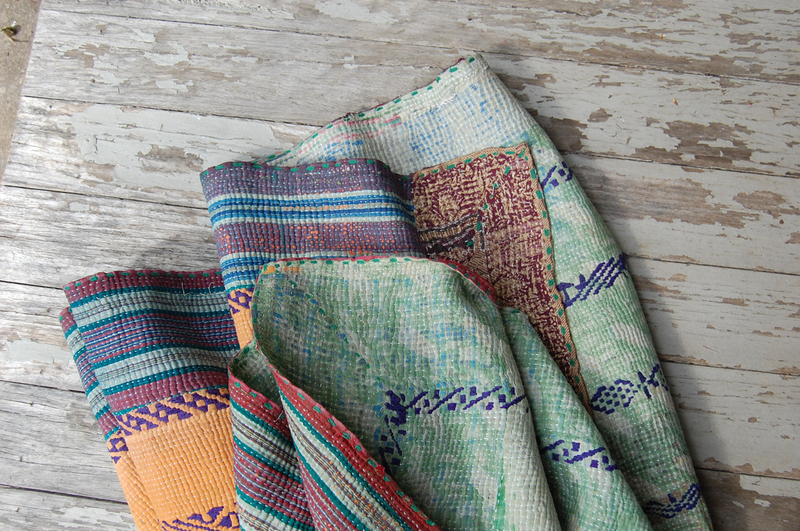 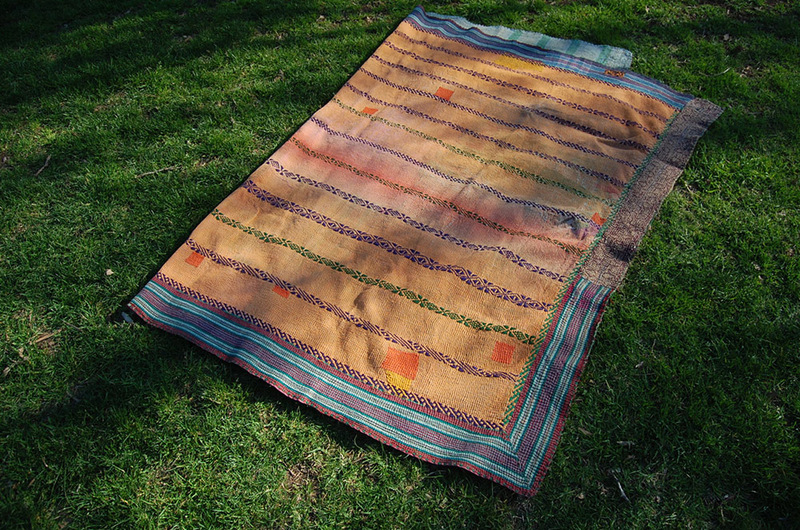 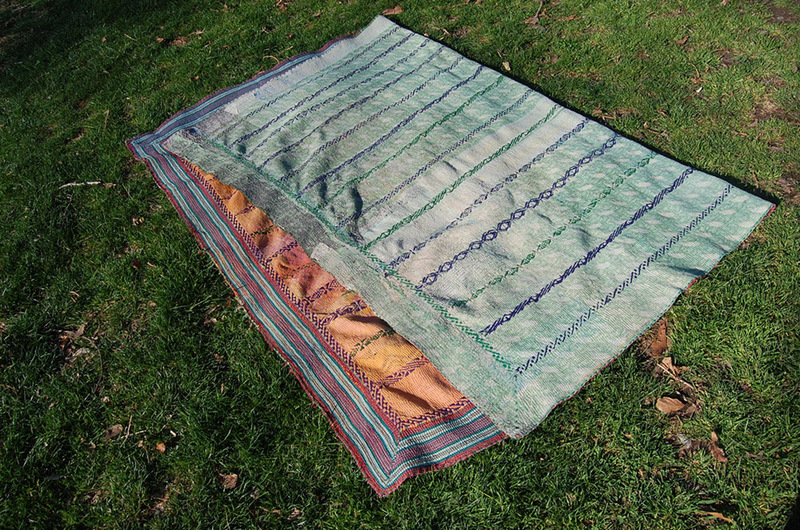 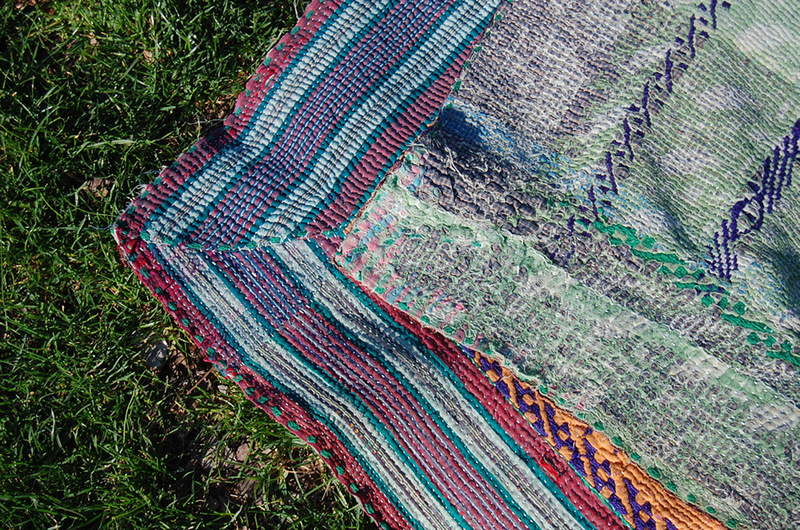 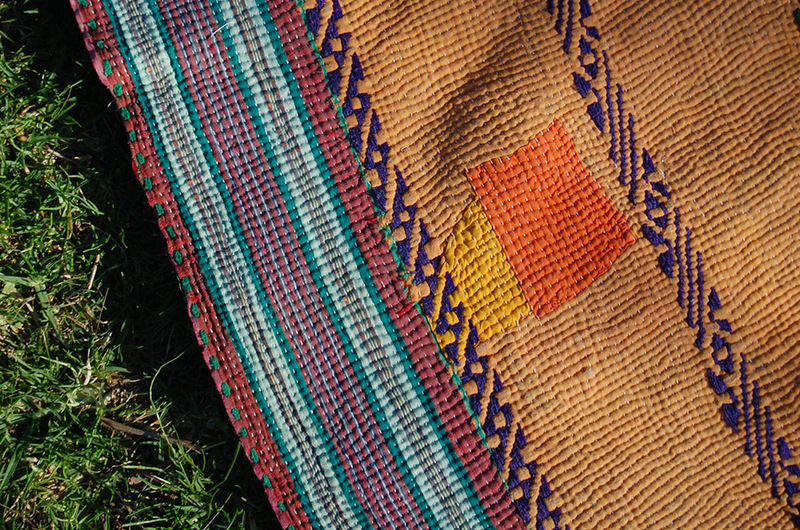 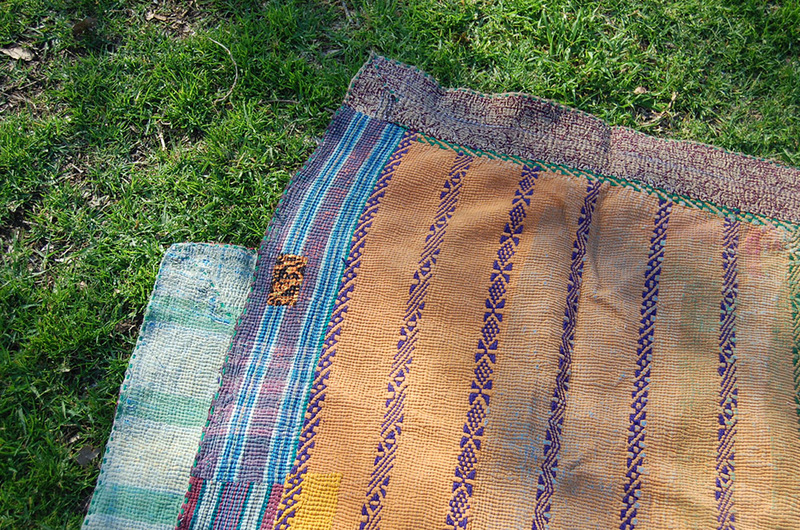 An extra-heavy kantha, perfect for a rug (if you dare use it like that), or perhaps a picnic rug, otherwise great as a bohemian quilt on the bed.